Your big day is nothing without a gift for your guests, right? Some couples like to give away a luxurious wedding favor for attending their special day, but some tend to think “the simpler, the better.” How about a themed wedding favor to go with your event? Does your budget allow it? What way will you sway? 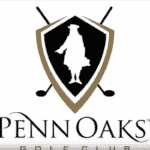 Penn Oaks Golf Club is here to help in your efforts to make your day perfect, all the way down to the favor. Make your wedding favor edible or useable. 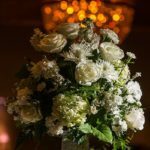 Most wedding favors are forgotten, unfortunately, because some couples create gifts that are not commonly used daily. Some couples are known to give out bottle openers, wine keys. etc. Some even gave out coffee mugs…everyone can use a coffee mug! On the other hand, maybe instant satisfaction like a chocolate arrangement or candy bag is the way to go. If your guests have a big sweet tooth, a small gesture like a candy bar with your date will be loved! A few couples even made a “Day-after” bag with goodies for them! If your wedding is themed, cater your wedding favor around that theme. If you are having a Disney themed wedding, bring Disney characters or Disney items into the fold. If your significant other is the “Key to your Heart,” go with a key shaped magnet or key shaped bottle opener (as stated above, useable is good!). You cannot go wrong with these options. If your wedding is around a Holiday, use that to your advantage! For instance, a Fourth of July wedding could have red, white, and blue cups or mugs so your guests can utilize them at any time. For a Christmas wedding, how about a pine-scented candle or an ornament? See where I am going with this? The wedding favor possibilities are endless!. Use a photo booth or outside vendor to your advantage! Find a photo booth that can place your date on the photo strips, and allow your guests to take a photo strip home with a photo strip frame. Pictures are timeless, and so should your wedding day! Penn Oaks Golf Club has a photo booth in house where you can place any picture as a green screen background, giving you endless possibilities! If you are looking for something different, having a caricaturist come in would be a fun way to give your guests a keepsake of your special event. Make a donation to a charity or fund of your choice. Some couples may have a charity near and dear to them, like the American Cancer Society, SPCA, the United Way, etc. This will guarantee that your gift will go towards helping someone (or something) in need! If you are having trouble choosing a charity, here is Forbes list for the top 50 largest US charities to aide you in your search. Give them the option to win some money as a wedding favor! Buy them scratch off tickets! Theme it saying “You scratch our back, we scratch yours” or something to that effect. Some have wedding themes right on the ticket! Who doesn’t like an opportunity to win some money?! 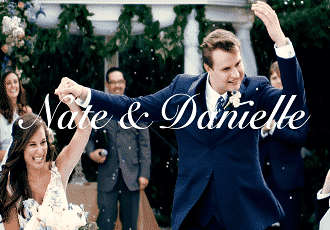 Having a destination wedding? Give them a bag tag wedding favor to remember the day! A tropical place may be a palm tree, a wintry place can possibly be a snowflake. An airplane bag tag may also be fun. Once again, the possibilities are endless! Regardless of where you have your wedding, these favors will help your guests remember your special day.